The kidneys like any other organ in the body can be affected by malignancies. Nowadays, with the advances of medical imaging modalities such as Ultrasound, CT scan, MRI, more and more of these lesions are discovered as incidental findings and are at a much earlier stage. Urologists see less of the more advanced, large and metastatic tumours. The two main tumour types that affect the kidney in adults are Renal Cell Carcinomas (RCC) with several subtypes, and Transitional Urothelial Cancers (previously called TCC). TCCs are the same tumours that occur in the bladder and in the ureters (tubes connecting kidneys with the bladder) – see section on bladder cancer. The management of TCCs is dependent on their location, size, stage, grade, if the patient has a single kidney. Generally the surgery for upper tract TCC involves removal of the entire kidney, together with the ureter, including its portion that connects to the bladder – the ureteric orifice. In some selected cases the approach may be slightly different. The surgery can be performed with an open, laparoscopic or robotic approach with the minimally invasive techniques offering smaller incisions, less pain, less blood loss, shorter hospital stay, quicker recovery and return to normal everyday function. Renal Cell Carcinomas (RCC) are solid masses that arise from the kidney parenchyma (meat of the kidney). Given that most are currently small when diagnosed this allows for organ sparing surgery i.e. only the tumour can be removed and the rest of the kidney be preserved. This is called partial nephrectomy and the feasibility of it depends on tumour characteristics, patient factors and preference. Again all approaches can be utilised to perform the operation. The robotic approach is particularly suited for this type of kidney surgery with all of the minimally invasive surgical advantages list above. Robotic partial nephrectomy performed by experienced surgeons also provides the ability for fast and effective suturing, which is essential to minimise blood loss, preserve kidney function, minimise urine leak post-surgery. 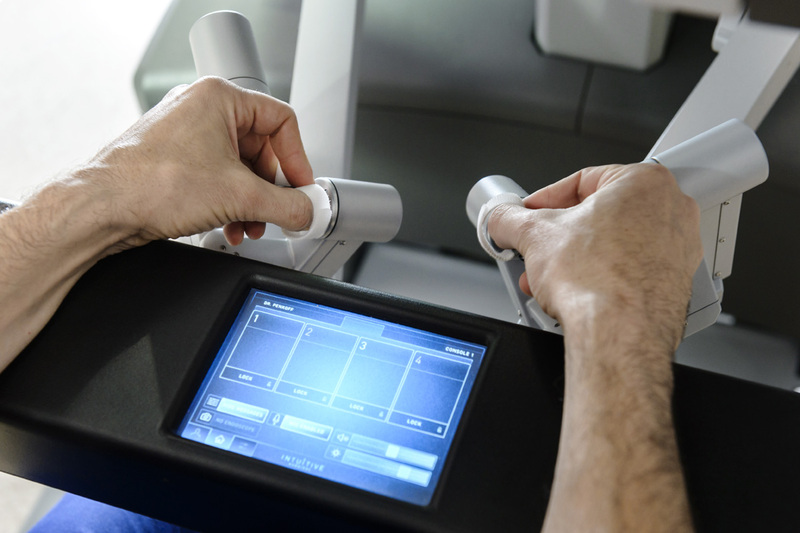 The better and magnified vision of the robotic platform allows for superior differentiation between tumour tissue and normal kidney. This in turn spares as much normal kidney tissue as possible and ensures the margins are clear of tumour (the tumour has been completely removed).